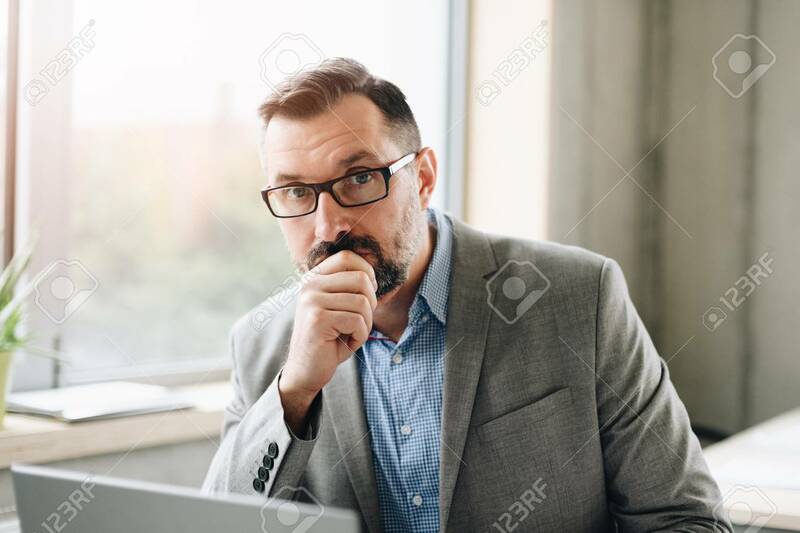 Thoughtful Middle Aged Handsome Businessman In Shirt Working On Laptop Computer In Office. Man Working In Office Lizenzfreie Fotos, Bilder Und Stock Fotografie. Image 116596243.